This extraordinary piece of technology and extravagant luxury costs nearly $15 million. The frame alone contains some 600 white flawless diamonds and has a full gold dressing. The Apple logo on is solid gold with 53 flawless diamonds. The home button is a solid black diamond. 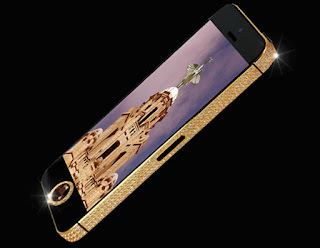 According to reports, the luxury iPhone is owned by a Chinese businessman.